Happy Dinos is full of cute dinos that you can breed to expand your collection. 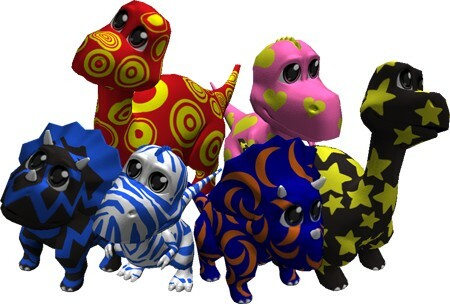 There are literally thousands of unique dinos with their own pattern and colors that you can obtain! Some dinos are more rare than others and can take a longer time to breed, but with a little patience, you can breed all of them for free. Your dinos are the happiest when they have a beautiful dino park to live in. 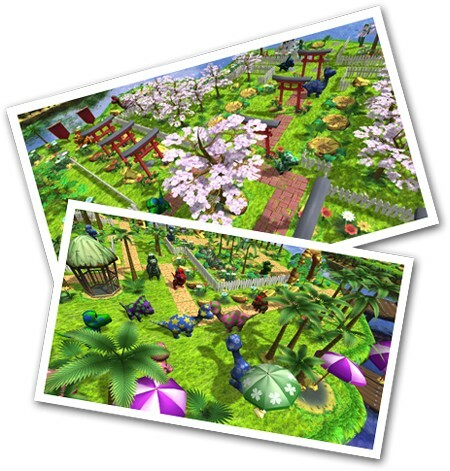 Decorate their habitat with palms, trees, flowers, gazebos, parasols, caves, and hundreds of other cool items. Happy dinos will socialize, run around, and perform cute tricks just for you. 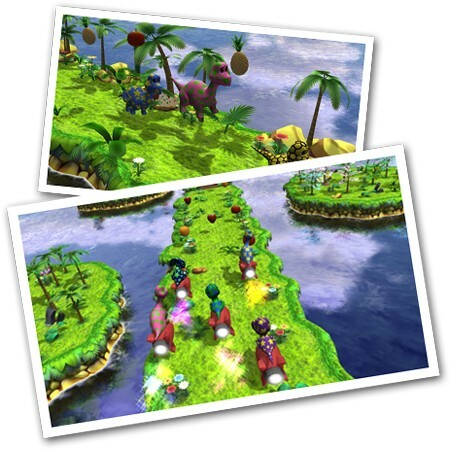 Young dinos need to be tamed by playing one of the exciting minigames. You can then go on playing with them to teach them some cool tricks your dinos just love to perform!